Some business owners are constantly striving to build their business – for Louis Aylward, of "Rebar, Mesh & Construction Supplies (Pty) Ltd t/a RMCS", supplying and supporting the rebar, formwork and construction industry, is his passion and business. He says that despite having limited previous experience in this industry, he spotted a niche in the market and pursued it with gusto. RMCS provides accessories and equipment to support the reinforced steel, formwork and construction industries. This includes rebar cutters and benders, cover blocks to support rebar, knipex fixing pliers and automatic rebar tying tools. 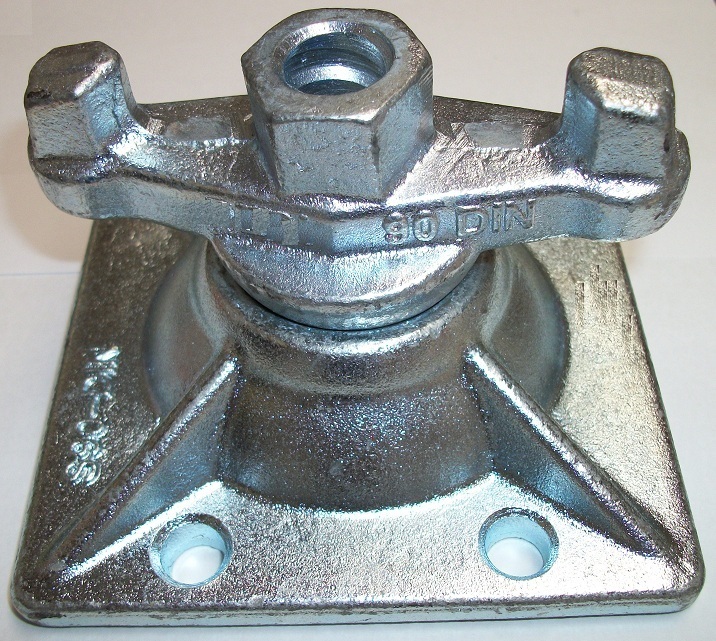 Formwork assessories such as tie rods and nuts, swivel clamps, water stoppers, corner fillets and ferrule tubing, amongst others, are also supplied. Louis has been in business for over 38 years and spent most of his career in the software development industry. Apart from other instrests, he decided to venture into the rebar, formwork and construction accessory market, in the mid 2000's, when RMCS was established. RMCS grew from being a startup business in the beginning to a serious rival to the cover block and formwork accessories market. According to him, his success is built on the fact that he can supply quality products backed up by excellent service and support. Louis says he focuses on service delivery, as this is something all customers seek. RMCS is particularly targeting reinforcing steel, formwork, scaffolding and construction companies in Gauteng, as well as elsewhere in Southern Africa. Louis lists establishing distributors throughout Southern Africa as one of his key strategies. Construction group Group Five and its French joint venture partner Spiecapag have landed a R2.5 billion contract from Transnet to build the R11.2 billion new fuel pipeline between Durban and Gauteng. RMCS sold their Casing spacers for Trenchless crossings to the SPIECAPAG / Group Five Civil Engineering joint venture, for the first phase of the New Multi-Product Pipeline (NMPP). These casing spacers are easy to install and are designed to ensure that the necessary cathodic protection is provided after installation. RMCS provideds a full range of casing spacers as well as centralisers for installation on all sizes of oil and gas pipelines. RMCS also supplies a wide range of products for the Oil & Gas industry. These products have been used with great success on very large projects around the world. The World of Concrete has announced the winners for the Most Innovative Products of 2009 and we are pleased to announce that Nawkaw/RECKLI has won the decorative concrete division. Rebar & Mesh Conversion Supplies (Pty) Ltd sold the MAX RB655 automatics rebar tiers to Peter Mellor Construction to help them to speed up their fixing on the bridges and tunnels they are building for the Gautrain (Bombela) project. THE RB395 Automatic Rebar Fixing machines have also been sold to the Bombela precast yard in Midrand. Bombela and Concor are using our rebar safety caps at various locations on the Gautrain project to protect workers from injuries which may be caused by protruding rebar. A small price is being paid for the safety of the workers when using our high-quality rebar safety caps. Our DBR-32WH hand held rebar bender was bought to bend in-situ 32mm rebar on the Gautrain project. Our DC-32mm rebar cutter is being used to cut up to 32mm rebar on site at the Jean Avenue offramp in Centurion. Our portable DBD-25X rebar bender is also utilied to bend up to 25mm rebar in Centurion. Topfloor in Cape Town, the manufacturers of extruded hollowcore precast floors, bought our robust and leading edge DIAMOND rebar cutters and benders to improve productivity. Considerable savings will be achieved by cutting rebar with our rebar cutters in stead of using grinders or acetylene torches. Rebar & Mesh Conversion Supplies (Pty) Ltd sold the Spinmaster Classic to Steeledale Reinforcing in Wadeville. Steeledale now have this innovative equipment at their Wadeville and Durban branches. The SpinMaster fabricates non-welded rollmats to expedite placing rebar in horizontal reinforcing applications. Because there is no welding, epoxy-coated, stainless and galvanized rebar, as well as black rebar, can be spaced and prewired to the customer's exact specifications. Simply roll them out and pour your slab! Installation time is reduced up to 80% by simplifying material handling. Substantial labour savings are realized by the use of rebar rollmats in concrete slabs, compared to the placing of loose bars or standard welded mesh. The SpinMaster is a one-man operated machine for high capacity production of rollmats in a non-welding process. The KRB Machinery 15th annual customer event day was once again a great success. The equipment demonstrations in the factory in Wrightsville, Pensylvania, was attanded by a large group of people from a number of states in the USA as well as countries such as Taiwan, Poland, Denmark, Mexico and South Africa. The golf outing afterwards was enyoyed by all of the 110 customers and employees of KRB who took part. KRB Machinery are the manufacturers of state of the art equipment for rebar fabrication. Rebar & Mesh Conversion Supplies (Pty) Ltd sold the MAX RB655 automatic rebar tiers to Murray and Roberts Construction for the Medupi Power Station Project. The Medupi Power Station will be the largest coal powered power station ever built in the world. A project of this scale would normally take 10 years to built, but the aim is to complete the project in 54 months. The MAX RB655 automatic rebar tiers will definitely assist the fixing teams to improve productivity and speed up the fixing.